Anytune has partnered with the Dallas School of Music and the dlp Music Program. The Dallas School of Music (DSM) has been providing north Texans of all ages outstanding music educational experiences on their campus for over 20 years. The dlp Music Program. includes Interactive Digital Music Books, Educational Blogs, Philanthropic Outreach, and a Global Community – something to help us all discover, learn, and play music! dlp Music Books include the Kore and Jazz courses which use a unique 3-step Discover, Learn, and Play Learning Process. Essential musical concepts are introduced to students through a series of sequential interactive lessons for a multitude of brass, string, wind, percussion instruments and even voice. 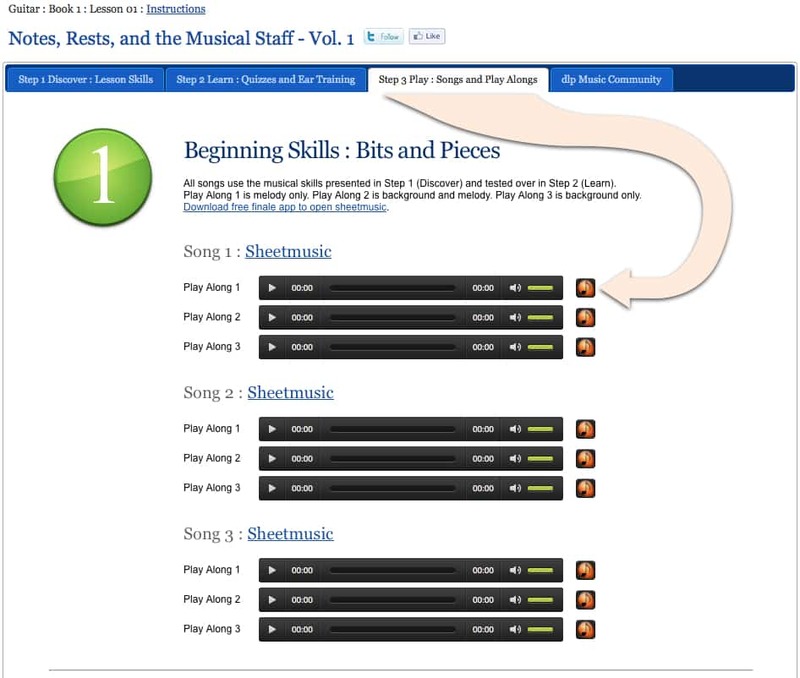 Discover the concepts in Step 1, Learn by taking Step 2 quizzes, and Play the concepts with Play Along songs in Step 3 including melody, melody and backing and backing only versions. Enjoy a FREE dlp Music Book subscription for life! Click the button and use coupon code: F501F5E0 to get your FREE dlp Music Book. Thanks DLP! DLP music students can download Play-a-long songs directly into Anytune. They can adjust the tempo to match their ability, the pitch to their instrument, loop a tricky passage, and much more. Download Anytune from the App Store for you iPhone, iPod, iPad or Mac. Goto to the dlp music program web site and Login. Choose your instrument and the book you are working on. Read the lesson, take the quizzes and go the the Play Along songs. Tap the Anytune icon beside the track you are practicing. Thats it! Anytune will open and the song will automatically be imported into Anytune. You will need to use you dlp login again in Anytune the first time you download a track. The track may start playing in a player instead of Anytune the first time. Tap Done and try again. Go back to safari and tap the Anytune icon.